“General Hospital” is new, improved, and watching it just might make your teeth whiter and your hair shinier. 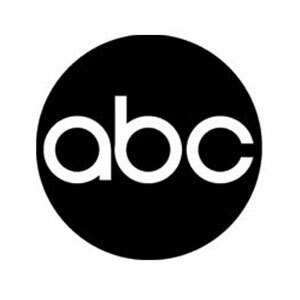 That was the message that the entire cast was sending at a recent ABC party for the Television Critics Association. Kelly Monaco shared why she thinks Sam should be with both Jason (Steve Burton) and John (Michael Easton), while Jason Thompson discussed how his current storyline has stretched him as an actor. Jane Elliot and Tony Geary revealed which characters they’d like to see return. Keep reading to learn the answers to these burning questions and so much more. Fans have noticed the difference in the show. How have things changed behind the scenes? Monaco: There’s a support system that’s been missing in the past couple of years. It’s do or die for everyone, and everyone’s really doing their best. Thompson: I think we’re taking it a little more seriously now. Obviously daytime television is in a little bit of a situation right now and over the past couple years. But I think us being her [at the TCAs] now, ABC sees that we’re ready to step up and produce a great show. It starts with the changes, with executive producer Frank [Valentini] coming over and I think a big part of it was the Emmys. I think we got a lot of recognition from all the nominations and all the wins. We’re all just doing everything we can. It’s a great place to work right now. Jason, you’ve done such an amazing job portraying Partick’s grief at losing Robin. Where do you draw from in those scenes? Monaco: He would make me like, punch him a couple times in the ribs before he went up. Monaco: Come on, you’ve got go and tape right now! Thompson: An actor’s craft is different for everybody. For me, it was a lot. I loved doing it. It was a great opportunity to really try to work and stretch myself and it’s been fun. I think we’re very capable actors over at “General Hospital.” The last couple months I’ve been lucky to have a storyline that means a lot to me that has been pretty well written on a regular basis, which is great., and it’s been well executed. So when all of that comes together, you see what happens. When it’s there, we all step up and you’ve seen what happens. Sam has two hot men in her life right now. Do you have any preference for whether she ends up with John or Jason? Monaco: No, I don’t have a preference. Maybe on Monday morning I want a little blonde, Tuesday I need a brunette. She is married, though. Her heart’s broken. She was betrayed. You and Michael Easton had amazing chemistry when you were on “Port Charles.” A lot of times when actors reunite playing different roles, it’s not there for a second time. But for you, it is. What’s the secret? Monaco: Trust, I think. That’s number one. That’s all it takes. He trusts me and I trust him. It’s really comfortable and we can just ease back into it. Do you feel the difference in the show? Geary: Yeah. I think it’s very exciting. There’s a lot going on. Many characters are involved, as opposed to the way it used to be small groups. It’s more of a community and I think there’s a lot of exciting stuff coming up. Elliot: I think its taken a while for [headwriter] Ron Carlivati to get to know the characters and see the momentum building. The longer he’s with us, the more he gets to know us, the richer the work gets. So that’s exciting for all of us. The show has a whole new energy. Yet, the previous regime won every Daytime Emmy ten times over. Why was it time to make a change? Geary: Apparently the network felt it was. And the show has new blood and new excitement and a kind of different slant now. Elliot: There’s an old expression: a new broom sleeps clean and sometimes it’s just time for a change. Not better, not worse, just different. Where is Luke and Tracy’s relationship headed? Elliot: There’s nothing more deadly than a happy marriage or a happy relationship. So I think in true soap opera form, they have to break up to get back together again. So this is the break up part. Are any of the characters who will be returning to the show going to be Quartermaines or Spencers? Elliot: He hasn’t told us yet. Geary: We’re in the dark. Elliot: Tony and I particularly like to not know. We like to be kept in the dark. We like it to be as much of a surprise to us as it is to you. Who would you choose to bring back? Elliot: At the top of my list would be my sons. I would love to see my sons back on the show, Dillon and Ned. Who would be at the top of your list? Geary: Kin Shriner probably. I miss Kinny a lot. Lynn Herring. There are so many great people. Geary: It goes on and on. There are so many people. I can even go back to Billy Hayes, I liked a lot. Why should former fans of the show start watching again now? Geary: The show has got new life and if they liked it at any point in their lives they ought to check it out because chances are they’re going to be re-excited.